Statistically, there’s no accounting for Jessica Goodfellow’s life in Japan. The daughter of an engineer, on a fast track in her early 20s to a Ph.D. in economics at California Institute of Technology, Goodfellow realized something essential didn’t correlate: her incalculable love of poetry. By the time she entered grade school, Goodfellow also showed a talent for math. “Since it was unusual for a girl to be gifted in math, I was encouraged to study it above everything else.” Yet, her early love of words grew exponentially, and by the time Goodfellow was in high school she won honorable mention in a nationwide poetry contest, receiving a cash prize and the publication of her work. Goodfellow’s talent in math repeats throughout her family. Out of her five sisters and one brother, four siblings work in math-related fields, and as the second oldest, Goodfellow’s acceptance into prestigious Caltech to pursue her Ph.D. seemed a logical path. With an undergraduate degree in economics, Goodfellow entered Caltech to study micro economics and econometrics. In two years all her course work was completed, exams passed, with her thesis remaining as the final element to her Ph.D.
Goodfellow arrived in Kobe in spring 1990, 24 years old and free to write. She taught English during the day and focused on words, producing poetry and “one awful novel.” Still, she was writing, and she became more determined not to return to her analytical studies. Ueno’s English was fluent because of a home-stay in America during high school, and the two started a friendship. The trade school where Goodfellow was teaching English decided to open a branch in Seattle, and she took the opportunity to return to the U.S.
Back in America, Goodfellow took another chance to use her master’s in economics and return to an analytical field, accepting a job as a financial consultant in California a year after she returned. Their relationship resumed, long-distance, but it was four more years before Goodfellow asked for a commitment. Marriage, however, was not such an easy solution for Ueno, the oldest son, who felt pressure and doubt about an international marriage from his parents. His father asked him to go through the process of omiai, or formal introductions to prospective females for the purpose of marriage. Ueno reluctantly agreed. They married in November 1996, settling in the Motomachi area of Kobe. Goodfellow worked at the YMCA teaching English part time, and refocused on poetry. “It turned out to be very easy to write again, and I began sending out poems to journals and magazines. I found quickly that the poems that were popular and usually accepted were the ones that had math imagery or somehow dealt with science, so I made a list of all the mathematical concepts that I thought were interesting, and another list of all the other things going on in my life or what I was thinking about, and I matched them up. “For example, we went through fertility treatments for a while, so I wrote a poem about infertility, but the poem is all about the binary code.” The couple later welcomed two sons, now 8 and 10 years old, into their family. 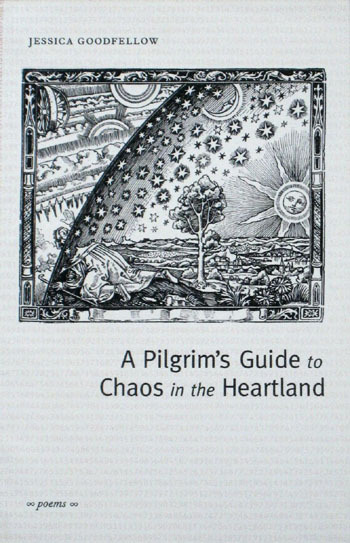 A pivotal accomplishment occurred when Goodfellow’s long poem, “A Pilgrim’s Guide to Chaos in the Heartland,” was published in the Beloit Poetry Journal in 2004, later winning the Chad Walsh Award for best poem of the year. Goodfellow’s work has attracted attention from opposite fields, seeming to act as a bridge between left and right brain ideas, thus leading to an array of accolades and acceptance in a short period of time. Her first chapbook was published in 2004, winning the Concrete Wolf Chapbook Competition. Her work has been included in the anthology Best New Poets of 2006, and has twice been featured on National Public Radio in America’s popular show, “The Writer’s Almanac,” hosted by famed author and storyteller Garrison Keillor. She is a four-time Pushcart Prize nominee, an organization that honors the best literary works from small presses throughout America, and was awarded the Sue Lile Inman Fiction Prize. 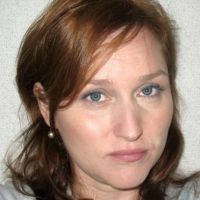 Her poetry manuscript, “The Insomniac’s Weather Report,” won the Three Candles Press First Book Prize in 2010 and is due out this month. Goodfellow admits her daily life sometimes veers toward chaos, busy with raising two boys, tallying her husband’s busy schedule as a doctor with her own writing. Goodfellow also edits and proof-reads academic papers for doctors and scientists from home, and occasionally accepts teaching positions. 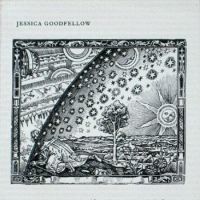 Still, the factors of her life seem to complement each other, and Goodfellow thinks the pull brings a balance to her writing.